Government Proposes Minimum Wages, Social Security Benefits For Domestic Workers. The proposal, however, does not talk much about the role of an employer. The Union Government has shown indications that a formal policy for minimum wages and social security benefits will be brought about for domestic helps. The move will help in bringing about the formalization of the economy in India. It would also benefit the BJP-led National Democratic Alliance in the urban areas given the large number of domestic workers found there. Public discussion of the policy is being encouraged by the labour ministry. The four-point agenda of the formal policy would be: guaranteeing the workers a minimum wage, permitting formation of unions, developing a grievance redressal mechanism and giving them a formal stature. The formal policy aims to “explicitly and effectively expand the scope of applicable legislations, policies and schemes to grant domestic workers rights that are enshrined in laws for other category of workers, including minimum wage, equal remunerations etc”, the labour ministry said in a circular. In the wake of ever-growing urbanization, the allied economy which has been formed by the domestic workers should not be overlooked. Looking at the 2011 census, approximately 31% of the Indians were living in the urban India. However, the precise number of domestic workers’ population is unknown as they’re constantly floating and belong to the informal working population. The ministry has sought comments on the policy beginning the 16th of October. It seems the government earnestly was to set up “institutional mechanism which provides for social security cover, fair terms of employment, grievance redressal and dispute resolution”. The proposal further highlights that as a part of the social security benefit, the domestic helps should also get health insurance, maternity benefits and old-age pensions. Nevertheless, the proposal does not talk much about the role of an employer in the guaranteeing the social security benefits bestowed by the government. It is also unclear as to when the ministry wants to take the proposal on floors. “After what happened in a Noida apartment cluster, it is very important to have a formal regulation for domestic workers to avoid future class conflict. 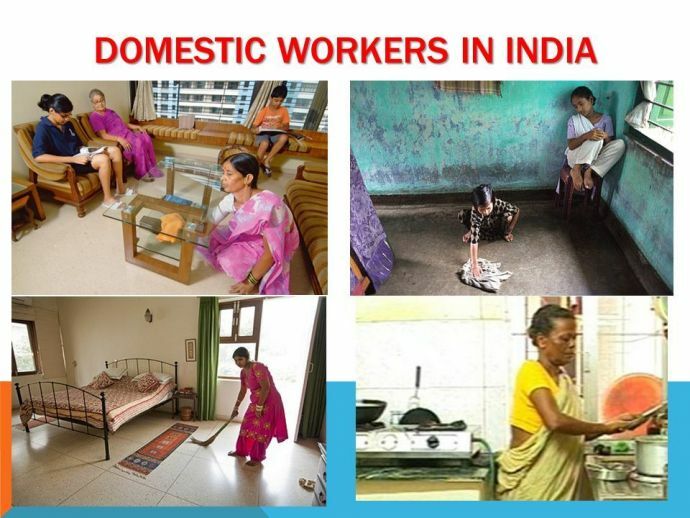 A domestic worker is a lifeline for thousands of city dwellers and if central or a state government comes up with a policy with dos and don’ts and salary structure, it will be beneficial to both families and these workers,” said Moses P., a Noida-based resident. A case of vandalism had surfaced in Noida sometime back in July, wherein the domestic workers broke past a condo’s gate, vandalized the property, entered one of the apartments and ransacked it. The act was caused by an outrage when a female domestic help was suspended on the accusation of theft by the apartment owner. The worker was eventually found in the apartment premises.